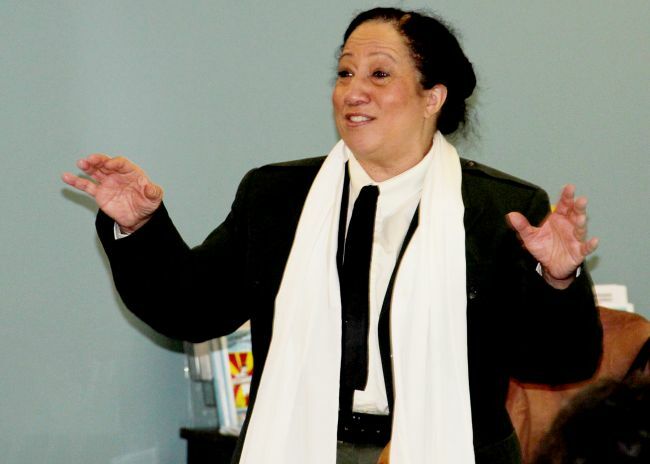 Black History Month in February will be celebrated by West Virginia Northern Community College’s three campuses with a return visit of talented actress, singer and dancer Ilene Evans who will perform poetry, prose and songs written by black artists, old and new. The Lunch and Learn presentation is titled “Harvest of Dreams---Voices to Remember” and features a collection of African-American poetry and prose, stories and songs. The program includes works by Waring Cuney, Langston Hughes, Paul Laurence Dunbar and Ancella Bickley. All performances, which are free and open to the public, will be held at noon with a light lunch served at 11:30 a.m. Dates are Tuesday, Feb. 3, in the Student Union, located on the second floor above the Barnes & Noble bookstore on the Wheeling campus, 1704 Market St.; Wednesday, Feb. 4, in Room 242, Weirton campus, 150 Park Ave.; and Thursday, Feb. 5, Room 110, New Martinsville campus, 141 Main St. The public is invited to attend, along with Northern students and staff. However, all those wishing to attend must RSVP to Program Coordinator Ida Williams by Monday, Feb. 2, at either iwilliams@wvncc.edu or by calling 304-214-8917. Please remember to specify attendance date and location with the RSVP. Parking is available in the Barnes & Noble lot and in lots adjacent to the Weirton and New Martinsville campuses. Evans has been described as an inspired storyteller, performer and scholar who weaves music, poetry, dance and drama to bring history alive. She creates and presents theater programs and workshops/seminars that inform, educate and entertain audiences young and old. She has toured extensively throughout the U.S. and internationally with her historical and original works. Evans received her bachelor of arts degree from Trinity College, Deerfield, Ill., and her master’s in storytelling at East Tennessee State University.